Legacy of the Stars is a space empire-building game in which you take control of one of eight unique factions racing to rebuild human civilization after a devastating galactic civil war. Your goal is to be the faction whose legacy will shape humanity's future by collecting Legacy Cards representing your accomplishments—from expansion to economy, technology, and bloody conquest. The first one to claim eight Legacy Cards is the winner. 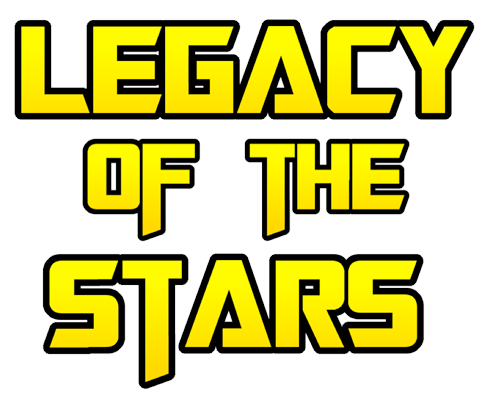 Legacy of the Stars uses an innovative and intuitive action-card driven core mechanic that gives you plenty of weighty decisions without leaving the results up to chance. Diplomacy is enhanced by the Glory and Vengeance mechanics, which reward powerful empires for conquering territory from one another instead of picking on weaker neighbors. Meanwhile, the Legacy Track presides over the dramatic arc of the game, injecting events that give everyone access to Covert Operations, powerful Leaders unique to each faction, and windfalls of resources and technology. The most recent PDF game manual is available on the Manual page.